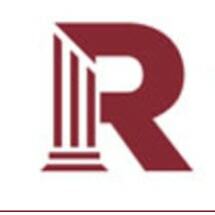 Based in Dallas, Texas, The Roper Firm's guiding principle is to pursue cases that have a positive impact on society by advocating on behalf of classes of consumers, employees, and others whose legal rights have been denied. The Roper Firm represents plaintiffs in statewide and nationwide class actions and multi-party complex litigation in federal and state courts, focusing on consumer rights, healthcare retirement benefits, and other workplace benefits. The Roper Firm has handled numerous large, complex class actions and multi-plaintiff lawsuits in Texas and throughout the United States, winning certification and successfully negotiating creative and wide-reaching settlements. The firm has successfully represented and continues to represent the rights of plaintiffs against corporate defendants and has built its reputation by aggressively pursuing justice and compensation for those whose rights are often compromised or overlooked. The firm welcomes opportunities to build co-counsel relationships with other attorneys who seek to partner with class-action experts. The firm has a record of success in bringing complex cases to a successful conclusion. Please contact us to discuss potential class or multi-plaintiff litigation. The firm also has a proven record in resolving personal injury and nursing home litigation on behalf of individuals and families. Nursing home abuse is a major problem in America. The fact is, too many nursing home owners act as if profits are more important than resident care. The Roper Firm represents victims of nursing home abuse. The firm litigates cases involving such issues as bedsores, falls, overmedication, and improper restraints, and has represented individuals throughout the country in these matters. Please contact us if you have a personal injury or nursing home matter that you would like to discuss.